The Compliance Manager will work collaboratively with the Country Office Operations and Programs team to ensure compliance with organizational policies and procedures, donor’s rules and regulations, and the statutory mandates. S/he will make sure programmatic, financial, operational and grant management processes meet requirements, and ensure weaknesses are improved and that best practices are adopted. This position reports to Regional Sr. Risk Manager. • Supporting the program teams to internalize risk and compliance procedures through learning hours and other innovative approaches. • Reviewing selected requests for disbursements from grantees; and performing periodic grantee performance reviews. • Coordinating of assessments across the Tohara Plus fund management portfolio and leading, or supporting the development of relevant thought leadership work. • Providing strategic direction to the team in line with business unit and firm-wide strategy and Supporting the growth and development of the team and ensure they attend relevant firm trainings as well as encourage the team to keep abreast with worldwide function specific developments. • A minimum of five (5) years of experience in risk management. • Knowledge of global risk management standards such as ISO31000. • Experience within internal audit. • The appointed candidate will be an individual of stature, integrity and authority, with a successful track record of achievement and success in their career. • The candidate should be a strategic thinker with the ability to assess, understand and communicate the impact of various risks across the organization. IntraHealth International wishes to recruit an individual with the ability to communicate and influence clearly both verbally and in written form. The individual will be expected to analyze complex issues and communicate them with simplicity to stakeholders and management. IntraHealth International wishes to recruit an individual who has the ability to view situations from a holistic commercial and business perspective; have an eye for detail and a risk aware mind-set. 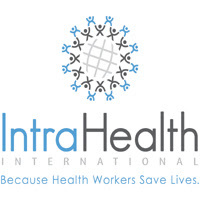 IntraHealth International wishes to recruit a highly respected Individual who has the ability to build collaborative relationships with others inside and outside the organization. IntraHealth International wishes to recruit an individual who can effectively operate in a fast paced and highly matrixed environment. This individual is required to be flexible and versatile. • Innovation: Develops new, better or significantly different ideas, methods, solutions or initiatives within your role that result in improvement of IntraHealth’s performance and meeting objectives, results and global commitments. • Accountability: Holds self and others accountable for all work activities, research and personal actions and decisions; follows through on commitments and focuses on those activities that have the greatest impact on meeting measurable high quality results for IntraHealth’s success. Exercises ethical practices, respectful words and behaviors, and equitable treatment of others in all activities. • Planning and Organizing: Develops clear goals that are consistent with agreed upon strategies; identifies priority activities and assignments; adjusts priorities as required; allocates appropriate time and resources for completing work; foresees risks and allows for contingencies when planning; and monitors and adjusts plans and actions as necessary. • Interpersonal Relationships: Knowledge of and the ability to effectively interact within and across Divisions, Departments/Country Offices in a constructive and collaborative manner. • Service Excellence : Knowledge of and ability to put into action customer service concepts, processes and techniques to access internal and/or external client needs and expectations and meet or exceed those needs and expectations through providing excellent service directly or indirectly. Application letter with detailed CV, indicating daytime telephone numbers, email address, names and contact information of two referees should be submitted to the following link Tanzania Job Opportunities and locating the job titled Compliance Manager . The closing date for receipt of applications: Until the position is filled. Only short listed candidates will be contacted. Bachelors or better in Finance or related field.